Vitamins and Nutrients Injected for Amazing Weight Loss Results! We offer many different types of fat burning weight-loss injections at the Southern California Center for Anti-Aging to help you maintain your peak metabolism and keep the weight off. Lipotropic weight loss injections contain amino acids and a fat-burning supplement to speed up your metabolism. Results can include increased energy and serious weight loss! At our Torrance clinic we help people in El Segundo, Hermosa Beach, Long Beach, Manhattan Beach, Palos Verdes, Redondo Beach, West LA, and throughout the area. Today’s diets are depleted of vitamins, minerals, essential fatty acids and other nutrients due to the decreasing quality of our food supply, poor soil and busy lifestyles. Vitamins are a crucial factor to feeling energetic, maintaining a strong immune system, and decreasing risk factors for many diseases. A lipotropic substance decreases the deposit or speeds up the removal of fat within the liver and aids with metabolism. This lipotrophic shot is composed of 3 amino acids: L-methione, Inositol, and Choline (MIC). MIC (slim shot) + multiple B vitamins + L carnitine. Glutathione is an antioxidant which neutralizes free radicals and prevents them from damaging cells. 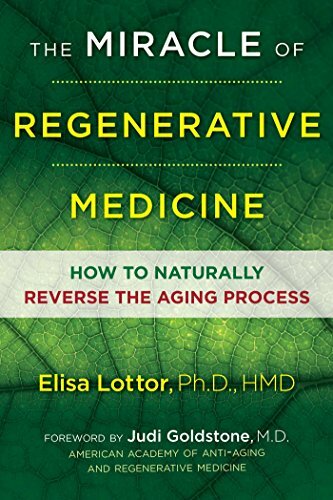 This may prevent degenerative diseases of aging and some cancers. Glutathione decreases in the body for many reasons including: environmental toxins, poor diet, stress, aging, infections, chemotherapy and pollution. Glutamine/Arginine/Carnitine/Lidocaine. Glutamine and L arginine stimulate growth hormone and protein production which leads to muscle building and reduced risk of injury. L Arginine helps produce nitric oxide which increases blood flow throughout the body. It has been used to treat impotency and sexual dysfunction in both men and women. L-Carnitine boosts energy by increasing glucose metabolism and breaking down triglycerides. B12+ MIC + glutathione + L carnitine. The ingredients in this combination stimulate fat burning, boost energy, and support strong bones and muscles. This shot is great for people who work out and want faster recovery. It’s also good for people on a serious workout program or those who are actively participating in sports. they are needed to assist enzymes (proteins that regulate chemical reactions in the body). This is very important in turning food into energy. Vitamin B can be low in anyone who does not eat red meat, is or was a vegetarian, has a lot of stress or has difficulty with gastrointestinal absorption. Low levels of B can lead to hair loss, exercise fatigue, low energy, prolonged wound healing, heart disease and depression. Biotin injections are used to improve fine, fragile or thinning hair and brittle nails. This vitamin is essential to not only grow new hair, but it also plays a major role in the overall health of skin and nails. Contains: Phenylalanine, L-Arginine, and vitamin B-12. This injection is great for those looking for a natural way to reduce aches, pains, and improve your energy. It’s great for athletes who are looking to enhance their physical performance and improve stamina. It helps reduce and eliminate depression and anxiety. Patients receive the professionally administered injections at separate appointments, where all vitals are checked and monitored. Call 424-543-2869 to schedule your free consultation today! Get started today! For more information about Lipotropic Injections for Weight Loss, call the Southern California Center for Anti-Aging & Medical Weight Loss today!